The winners of the HFPA's 75th Annual Golden Globe Awards, the precursor to the Academy Awards, have been announced tonight at a ceremony held at The Beverly Hilton hotel, hosted by late night comedian Seth Meyers. Hopefully this will be an exciting show, as the HFPA is often very boring. Our list below will be updated with all film-related winners as they're revealed during the live broadcast. The nominees featured a lots of great films from 2017, including Get Out, The Shape of Water, Dunkirk and Call Me By Your Name, of course, and I'm curious to find out which films/actors the HFPA fell for this time. Let's see who wins big. The 75th Annual Golden Globe Awards are being held at The Beverly Hilton as hosted by Seth Meyers with a live telecast on NBC. See the full list of 2017 film winners below. Winners highlighted in BOLD. Thoughts: Well, not my choice. Not my favorite. But oh well, seems to be the one the HFPA loved the most. Thoughts: This is fantastic! Gary Oldman has been waiting for this moment for so many years, and he really gives an exceptional performance as Churchill in the film. Congrats! Happy to see him win. Thoughts: Well, I would've preferred Sally Hawkins. But, McDormand is badass in this so I'm happy for her. Thoughts: Congrats!!! This is great, a big win for Greta Gerwig and A24 and everyone else. Huzzah. Thoughts: Yes!! I'm happy with this, he's incredible playing Wiseau in this film and it's a good win. Thoughts: Rock on!!! Go Saoirse, she deserves this time in the spotlight. Thoughts: Big fan of this film, but it's divisive. Was not expecting it to win, but I'm fine with this. Thoughts: Yay!!! I love Coco, another victory for Pixar. Thoughts: Well, I would've been happy with anyone else, but Sam Rockwell is a stellar actor and I'm glad to see him win. I just think all the other performances here were more worthy of winning. Oh well. Thoughts: Expected but deserved, she's so fierce in this film. Thoughts: Ayyyyyy!!! Guillermo!!!!! Love this film!! Hooray!! Thoughts: Nice!! This was expected. Thoughts: Desplat!! Lovely score, happy for him winning. Final Thoughts: Well, I can't say I am totally satisfied but there were a few nice surprises this year. I'm not the biggest fan of Three Billboards Outside Ebbing, Missouri, it is an intelligent and enjoyable film but I don't think it's the best of the year. Definitely not. Critics seem to love it, which is why I'm not surprised the HFPA had it win so much. 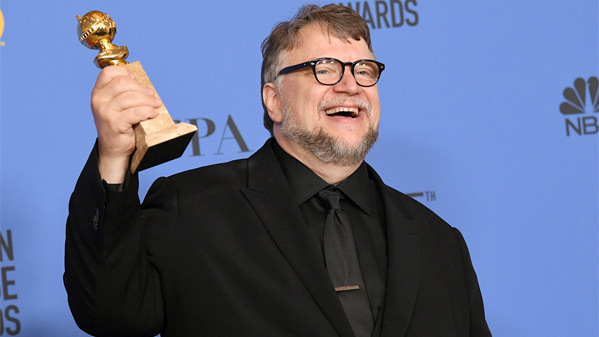 That said, I am happy about Guillermo del Toro and Alexandre Desplat winning for The Shape of Water. Frances McDormand is a true badass. Gary Oldman deserved to win. So did Saoirse Ronan and Allison Janney. And you know, I'm fine with James Franco winning as well - because he is quite impressive in The Disaster Artist and got totally lost playing Tommy Wiseau. I'm also very surprised by In the Fade winning, but it's a good film. Nothing really upset me, so overall it's okay but I'm not that satisfied. What do you think of the 2018 winners? How is the show this year with Seth Meyers? Entertaining? Are these winners an early indicator for Oscars, or not? What favorite movies from 2017 are you rooting for?